Why do you have Business cards? Most end up in the bin after being dug out of the pocket or handbag after a networking meeting. If lucky they have been scanned or entered into a database but you’ll only know when you receive the newsletter or email marketing campaign a week later! 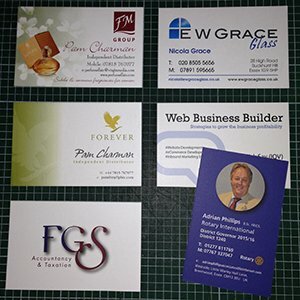 However, business cards are still the most popular way of sharing details and introducing your business. When the person receiving it is standing in front of you and you are exchanging information about what you do, its easy and your business card will act as a reminder and a point of contact, hopefully, later…. So how many business cards did I pull out of my handbag after networking for two full on days last week? How many people did I speak to in the course of 6 different meetings in 6 different places? Can I still put the name to the face, or actually the face to the business? Looking through the cards, and rereading my notes, I often scribble on them to remind me where, what and who, it struck me that more than half had no clue as to what they actually did. Who did design your business card? Name, Company and the contact details were all there but not what the business actually did! No Clues at all! As if Im supposed to know the company and its business! 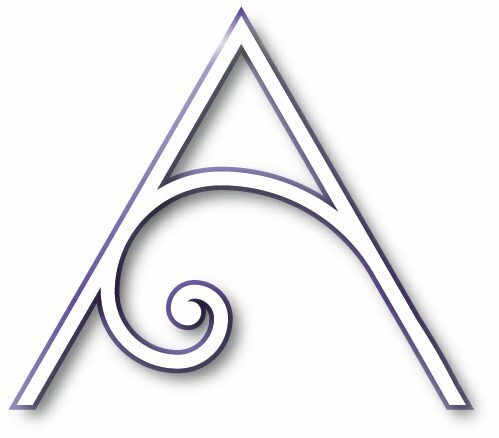 The rehearsed reply to ‘ …and what do you do?’, is not your title or ‘I work for…+ company name” but what you actually do….. So why not use that description on your business card design? It’s clear, it’s understandable and it will communicate and remind the recipient who you were and what you actually do. The reason you need to design your business card properly is because it must sell YOU when you are not present. It is only a reminder of who that person has met, a point of contact, to jog their memory, so make it easy! Don’t however fill your card with lines and lines of info, its a ‘calling card’ not a ‘brochure’. A reminder not a sales pitch. Who you are, what you do or offer, what the company is called and how to contact you. The details MUST be current and easy to read. Where you can actually easily be found is important, so you are not giving out a number that you never answer! An answer phone message wont win you business, but somewhere you can be easily reached. A friend of mine had an answer phone message that went on and on with all her contact details. Not many people left a message as they couldn’t be bothered to listen for several minutes to more contact details when they couldn’t contact her on her primary contact number! If you want people to contact you – make it easy. Web sites and emails are essential, linkedin profiles allow you to be checked out – for credibility this is very useful. Depending on your business and which social media sites are relevant. The Facebook business page is useful and to encourage communication via twitter is great if you are a regular tweeter. Google+ is also essential to improve your search. Although that is a lot of contact details to consider adding, decide which are the really important ones to include. The aim of your business card should be to get the recipient to check you out, whether on line or in person. To encourage contact, to generate engagement of one kind or another. Many people use the QR code, its a personal barcode really. For those with smart phones, it is scanned and then either produces contact details or takes the reader straight to a desired web site and further info. Depending on your business depends whether it is useful. It also needs to be considered how many people will take the trouble to scan the QR code and make use of it. It is actually useful if you are rubbish with names! Here is a useful checklist of information to include. It is in no way compulsory and can be completely personalised for your requirements….. Always leave 3 – 5 mm around the edge so the text doesn’t fall off the page! Make sure its all not too small. Your Logo doesnt have to be huge, better to have a good tag line that explains what you do, but make sure it is not pixelated or blurred. Not too much text – people don’t read it so why bother! 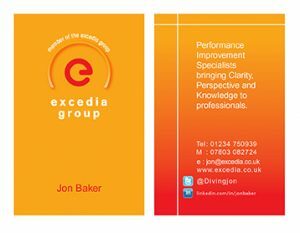 All too often the most important information is left off when creating the business card design. This usually happens because the need for including as much promotional information as possible takes precedence. Remember it is an opportunity to make contact, an introduction, not a piece of hard selling marketing literature. Once interested and directed to your web site or relevant email the prospective customer/supplier will hopefully find you. Then you can then divulge all those extra details about you and your business in a much nicer way and develop the relationship.